Welcome to Summerhouse! 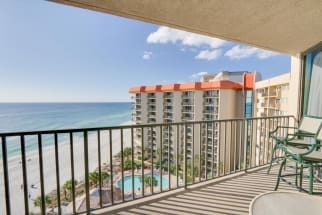 This gorgeous condominium complex sits right on the sand in Panama City Beach, Florida, one of the world's most beautiful beaches! Summerhouse takes pride in its quality, that why condos are continuously upgraded and consist of cleanliness and luxury for your benefit! 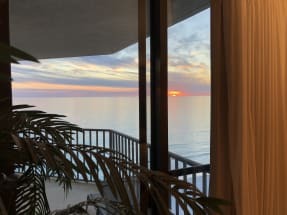 All of the condos come with two bedrooms, an ocean view, two bathrooms, a kitchen and dining area, a TV with cable, washer, dryer and free Wi-Fi! This complex has two amazing outdoor pools and a hot tub, a large lounging area around the pools, a kiddie pool, shuffleboard, racquetball, tennis, video games, billiards, a picnic area and gas grills! 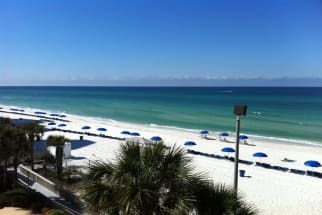 The possibilities are endless when you stay here, but the fun certainly doesn't end when you leave the complex property! Just minutes away is fishing attractions and so much more such as parasailing, boat tours, etc. When it comes to food down here, you're in great hands! Don't miss out on the excellent seafood served in a fun scene with good drinks!
. 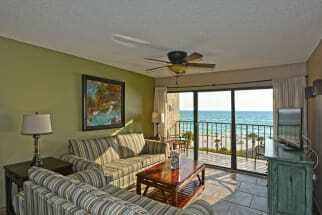 Scroll down now to book your next vacation at Summerhouse! 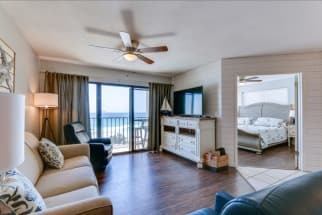 When you book with Emerald Coast by Owner, we make it easy for you to contact the property owners or managers directly, so you can get answers to your questions before you book. 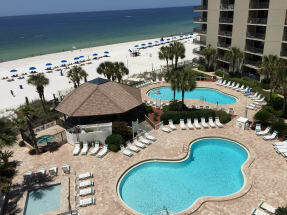 Book your next dream vacation to Summerhouse Resort in Panama City Beach FL. Summerhouse 403A - FREE Beach Service! !